In a major setback to Indians looking to enter the global labour market, Australia has decided to scrap its temporary working visa programme. This news comes on top of US President Donald Trump’s order that the H-1B visa programme be “reviewed”. Both decisions, which fit in line with the protectionist trend of the world at the moment, add an extra burden on India to create more skilled jobs at a domestic level. Australia’s 457 visa programme, which allowed skilled workers to work for four year period, will have a large impact on the 95,757 foreign nationals working there, of which Indians form a sizable portion. Prime Minister Malcolm Turnbull’s shocking announcement comes days after his visit to New Delhi where he and Modi agreed on range of issues including national security, counter terrorism, education and energy. Unlike the current visa arrangement, the replacement - a two year temporary visa specifically designed to recruit the “best and the brightest” in the national interest - will not allow permanent residency at its conclusion. Trump’s decision comes at a time when Indian technology giants are already facing problems of transformation and slower growth rates. As gross addition in employment generation by the IT sector is slowing, Prime Minister Narendra Modi will be under more stress to create jobs. What Trump has announced is a coordinated effort by immigrant and labour agencies to study the impact of the visa system that allows firms operating in America to hire skilled foreign workers. The study will analyse and review the existing lottery system of allotting the H-1B visa and suggest ways to ‘Hire American’ policy of the Trump administration. In simple words, there will not be any immediate impact on hiring. Every year, the US grants 85,000 H-1B visas (65,000 workers and 20,000 graduates). As per estimates, there are 6,00,000 workers employed in various fields who have migrated through this route. Most of the visas are awarded to outsourcing firms, which critics say exploit loopholes to fill lower-level IT jobs with foreign workers, often at lower pay. Trump’s executive order will call on government departments to introduce reforms to ensure that H-1B visas are awarded to the most skilled or highest paid applicants. As per US officials, right now H-1B visas are awarded by random lottery and about 80% of H-1B workers are paid less than the median wage in their fields. 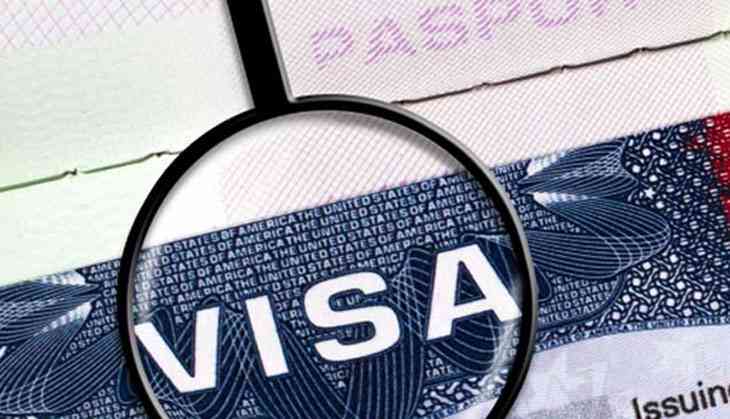 On 17 April, the US government also named Tata Consultancy Services, Cognizant Technology Solutions Corp and Mphasis Corp as examples of companies that would likely have fewer visas approved as the administration’s changes are adopted. Employers seeking H-1B visas for 2018 submitted 1,99,000 applications exceeding the 85,000 available visas, which are currently distributed by lottery, according to figures released by the US Citizenship and Immigration Services. But the number of applications for the lottery, conducted earlier this month, declined from 2,36,000 last year, possibly reflecting concern about new restrictions. Both decisions have direct bearing on Indian workers aspiring to work in the two countries, both of which have been considered most open for foreign immigrants. However, President Trump’s decision to review the existing system still leaves a ray of hope for Indian technology firms. What does Russia want from Donald Trump? READ NEXT >> What does Russia want from Donald Trump?